"But for you, sunrise! The sun of righteousness will dawn on those who honor my name, healing radiating from its wings. You will be bursting with energy like colts frisky and frolicking. And you'll tromp on the wicked. They will be nothing but ashes under your feet on that day. God of the Angel Armies says so." 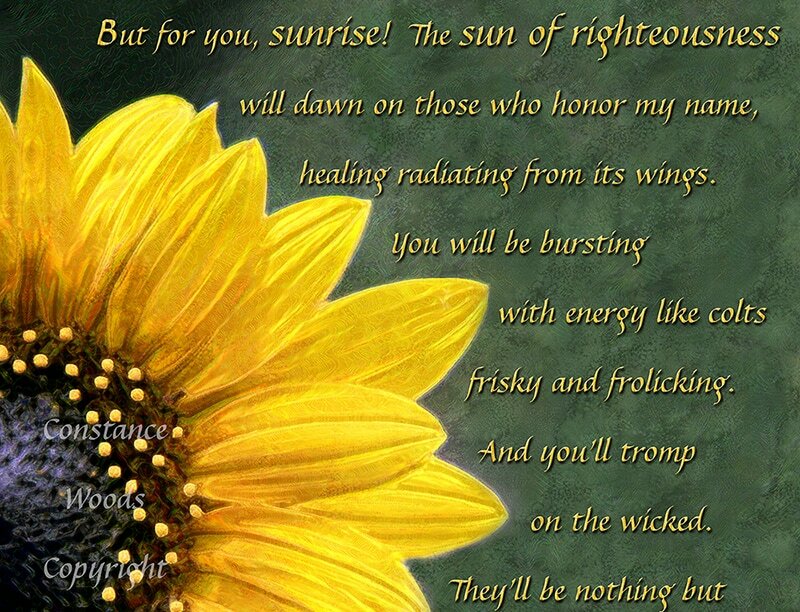 Beautiful giant sunflower from Colorado is painted with this scripture!